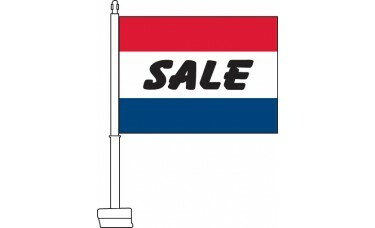 Our Sale (Red, White, & Blue) Car Flags feature a red stripe on the top, a white stripe in the middle, and a blue stripe on the bottom. 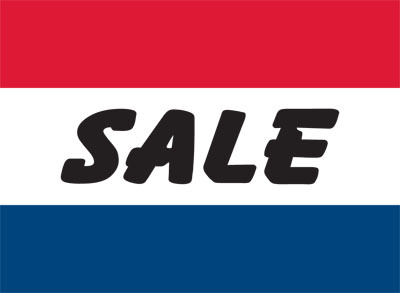 In the middle of the white stripe on the flag, black text reads "Sale." 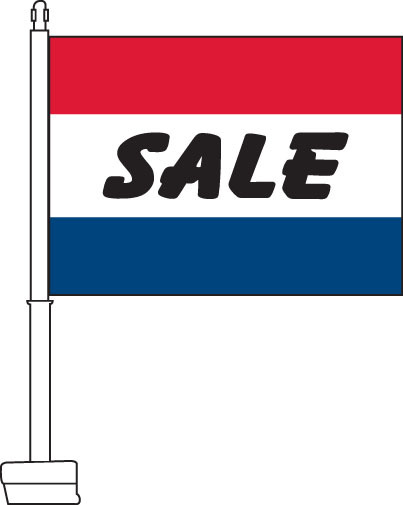 This flag is a great options for any car dealership looking to attract customers with a sale.